Doubts are rising as to whether the European Nabucco gas pipeline will ever be built, after a two-year delay and mounting support from several countries for a rival project, South Stream, which would not include Romania, Ziarul Financiar reports. Talks concerning the construction of the Nabucco gas pipeline, which would provide Romania with a supply of natural gas from other countries besides Russia and fetch revenues from taxes levied for the pipeline through Romanian territory, have been continuing for seven years, whilst the initial plan has experienced a two-year setback. Bulgaria and Hungary have announced they have the financial capability to support both the Nabucco and the South Stream projects. The latter is a gas line that is promoted by Russia. The countries involved in the Nabucco project claim that it is not an alternative, but complementary. European officials say Nabucco is the more advanced project, yet no suppliers have been selected and the necessary funding, 5 billion euros, is dependant on this factor. Romania has declared its support for French Gaz de France to become the seventh partner of Nabucco. Traian Basescu stated after the meeting held with his French counterpart, Nicolas Sarkozy, early this week, that the two had agreed that the French state-owned Gaz de France should become a partner in Nabucco, and in return receive support from Romania. To bring a new member on board, however, requires the vote of all the countries involved, and the vote hardest to get, under the circumstances, would be Turkey's. Officials in Ankara are very hard to persuade especially after France passed an act condemning the denial of Turkey's genocide against the Armenians in WWI. Moreover, the current French president spoke against Turkey's EU membership in his electoral campaign. "The decision to accept the seventh partner will be made by all six members together." This was the answer of Saltuk Duzyol, the representative of BOTAS (Turkey) when asked if he preferred a partnership with Gazprom instead of Gaz de France. Nabucco currently has six members, after Germany's RWE joined the partnership two days ago. The signing of the document by the already existing five members - OMV (Austria), MOL (Hungary), Transgaz (Romania), Bulgargaz (Bulgaria) and BOTAS (Turkey) came shortly after Bulgaria and Serbia struck a deal with Russia concerning the South Stream project. 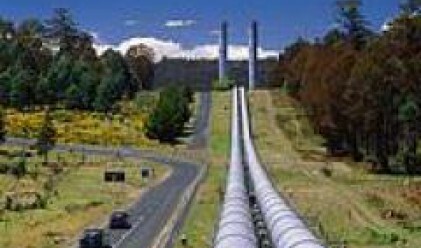 "Bulgaria will have enough resources to participate in both projects, but we have to admit South Stream is still just an idea," stated Dimitar Gogov, Bulgargaz representative. At the same time, Martin Bartenstein, Austrian economy and labour minister, stated that Nabucco was the most advanced project in terms of planning and government agreements. However, the supplier has still not been decided for this project, although around 70% of the foreign funding required hinges upon it. The potential supply sources include Egypt, Azerbaijan, Kazakhstan, Turkmenistan, Iran and Russia, which stated that the Nabucco project did not stand any chance without its participation.